Is your psiphon handler too slow or it takes lot of time to connect. Are you always complaining that your Psiphon handler hangs your phone. Do your Psiphon handler contain annoying ads that slow down the performance. Do your Psiphon handler take up to 20mins to connect that Etisalat Magic IP. 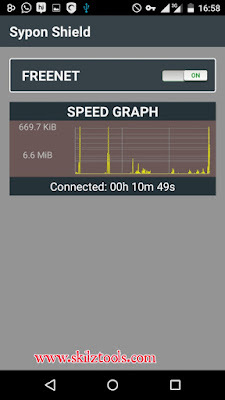 Today Skilztools brings you a solution called Sypon Shield 102( also called Psiphon 102 handler). This psiphon handler is so good that you don't have to bother about Tweakware and Simple Server. It connects with 2-10 mins to any working Etisalat Magic IP. Doesn't disconnect frequently and easy to use. Unlike Sypon shield 101, Sypon shield 102 has more option where you can type your host address (IP) and port. 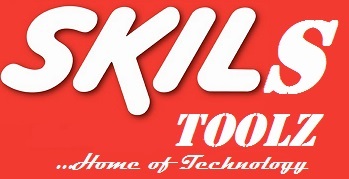 Hello Mr Skilz I'm a big fan of the work you're doing here however I have a complaint. I can't seem to connect the latest psiphon handlers with any of the ips you suggested. Be it on the chatpak plan or on a sim that's not registered on the Etisalat smartpak plan. Please come to my aid I'm sick and tired of slow download speeds. Thank you!